This Saturday a wide range of local artists, designer-makers and businesses will be showcasing their talents at the Bristol Independent Wedding fair. This list of exhibitors includes dress makers, photographers, gifts and keep-sakes, florists, cake makers & decorators, entertainers, table decorations, vintage crockery, vintage cars, hen-party organisers, workshops and activities, hair and make-up stylists, jewellery and MORE! Entry is free and the fair runs from 11am to 4pm at Hamilton House in Stokes Croft. You can find out more on the fair's facebook page. Bristol Wedding News brings you all of the latest news and information about getting married in Bristol. 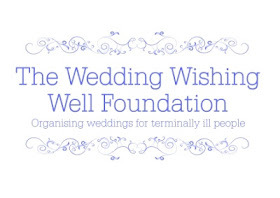 As a Bristol Wedding Planner and the owner of Sweet & Pretty Weddings, I am ideally placed in the heart of the thriving Bristol Wedding Industry. I can let you know about Wedding fairs, fashion, events and great suppliers as well as offering planning tips, ideas and inspiration for your dream Big Day.